The automotive industry in China has been the largest in the world measured by automobile unit production since 2008. Since 2009, annual production of automobiles in China exceeds that of the European Union or that of the United States and Japan combined. As well as joint ventures with multinational makers (with well-established brands) there are several indigenous makers and brands (which may not have the popularity of the former) . These include: Beijing Automotive Group, Brilliance Automotive, BYD, Dongfeng Motor, FAW Group, SAIC Motor, Chang'an (Chana), Geely, Chery, Jianghuai (JAC), Great Wall, and Guangzhou Automobile Group. While most of the cars manufactured in China are sold within China, exports reached 814,300 units in 2011. China's home market provides its automakers a solid base and Chinese economic planners hope to build globally competitive auto companies. China's automobile industry had mainly Soviet origins (plants and licensed auto design were founded in 1950s, with the help of USSR) and had small volume for the first 30 years of the republic, not exceeding 100–200 thousands per year. Since the early 1990s, it has developed rapidly. China's annual automobile production capacity first exceeded one million in 1992. By 2000, China was producing over two million vehicles. After China's entry into the World Trade Organization (WTO) in 2001, the development of the automobile market accelerated further. Between 2002 and 2007, China's national automobile market grew by an average 21 percent, or one million vehicles year-on-year. In 2009, China produced 13.79 million automobiles, of which 8 million were passenger cars and 3.41 million were commercial vehicles and surpassed the United States as the world's largest automobile producer by volume. In 2010, both sales and production topped 18 million units, with 13.76 million passenger cars delivered, in each case the largest by any nation in history. In 2014, total vehicles production in China reached 23.720 million, accounting for 26% of global automotive production. The number of registered cars, buses, vans, and trucks on the road in China reached 62 million in 2009, and is expected to exceed 200 million by 2020. The consultancy McKinsey & Company estimates that China's car market will grow tenfold between 2005 and 2030. The main industry group for the Chinese automotive industry is the China Association of Automobile Manufacturers (中国汽车工业协会). In 1931, Zhang Xueliang founded his arsenal to make one truck called Ming Sheng. Another general, Yang Hucheng, patronized the inventor Tang Zhongming to make a new type of mobile energized by charcoal.These charcoal cars are primary vehicles during World War II in China,considering the blockade by Japan. In 1945, China Automotive Manufacturer made the first automobile powered by tung oil. 1956: First Automobile Works The first truck Jiefang CA-30 began production of a modern automobile plant. March 10, 1958: The first 2½ ton light duty truck (NJ130), which was based on Russian GAZ-51, was produced in Nanjing. The truck was named Yuejin (meaning "leap forward") by China's First Ministry of Industrial Machinery. June 1958: Nanjing Automobile Works, previously a vehicle servicing unit of the Army, was established. The truck production continued until the last truck (NJ134) rolled off the assembly line on July 9, 1987. Cumulative production was 161,988 units (including models NJ130, NJ230, NJ135 and NJ134). Late 1950s to 1960s: Several automobile factories were set up in Nanjing (today is Nanjing Automobile (Group) Corporation), Shanghai (today is Shanghai Automotive Industry Corporation), Jinan (evolving into China National Heavy Duty Truck Group), and Beijing (today is Beijing Automotive Industry Holding Corporation). 1968: The Second Automobile Works (later Dongfeng Motor Corporation) was founded. The passenger car industry was a minor part of vehicle production during the first three decades of China’s socialist economy. As late as 1985, the country produced a total of only 5,200 cars. To announce that the desire for consumer goods was no longer politically suspect and stimulate personal spending, while also advertising the opening of the Chinese market to foreign producers, a fabricated news story about China's first peasant to own a car was distributed across the world. Sun Guiying, a chicken farmer from near Beijing was touted has having purchased a silver Toyota Publica with her earnings. While the article was largely fraudulent (Mrs. Guiying did not know how to drive, and her husband was a senior official rather than a peasant), the message came across loud and clear. Car sales shot through the roof, although they were almost entirely purchased by danweis (work units – private car ownership was virtually unknown at the time, in spite of the Sun Guiying story). As domestic production was very limited, import totals rose dramatically, despite a 260 per cent import duty on foreign vehicles. Before 1984, the dominant exporter of cars to China had been the Soviet Union. In 1984, Japan's vehicle exports to China increased sevenfold (from 10,800 to 85,000) and by mid-1985 China had become Japan's second biggest export market after the US. The country spent some $3 billion to import more than 350,000 vehicles (including 106,000 cars and 111,000 trucks) in 1985 alone. Three taxi companies in particular thirsted for Japanese cars, such as Toyota Crowns and Nissan Bluebirds. As this spending binge began to lead to a severe trade deficit, the Chinese leadership put on the brakes, both through propaganda efforts and by making foreign exchange much less accessible. Customs duties on imported goods were raised in March 1985 and a new "regulatory tax" was added a little later. In September 1985, a two-year moratorium on nearly all vehicle imports was imposed. While limiting imports, China also tried to increase local production by boosting the various existing joint-venture passenger car production agreements, as well as adding new ones. In 1983, American Motors Corporation (AMC, later acquired by Chrysler Corporation) signed a 20-year contract to produce their Jeep-model vehicles in Beijing. The following year, Germany’s Volkswagen signed a 25-year contract to make passenger cars in Shanghai, and France’s Peugeot agreed to another passenger car project to make vehicles in the prosperous southern city of Guangzhou. These early joint ventures did not allow the Chinese to borrow much foreign technology, as knock-down kit assembly made up the majority of manufacturing activities; tooling may not have been allowed to slip past borders. Shanghai Automotive Industry Corporation – Volkswagen: Volkswagen Santana mid-size/compact car. First Automobile Works – Volkswagen: Volkswagen Jetta compact car. Dongfeng Motor Corporation – Citroën: Citroën Fukang compact car. Beijing Automotive Industry – Hyundai Motor – DaimlerChrysler: Jeep Cherokee (XJ). Guangzhou Automobile Industry Group – Peugeot: Peugeot 504 (subsequently defunct). However, in the nineties, Honda replaced Peugeot as the partner of Guangzhou Auto, and began producing the Accord and later the Fit with huge success. In 2006, it started to manufacture Toyota Camry, also with considerable success. Guangdong province is now the center of the manufacturing of Japanese makes in China. Tianjin Automotive Industry – Daihatsu: Daihatsu Charade (since merged with FAW/Toyota joint-venture). Several enterprises entered the automobile industry since 1994. Some of them are originated from defense industry, such as Chang'an Motors, Changhe, and Hafei Motor; some were developed from old state-owned companies, such as Japanese-Chinese BYD Auto, Brilliance China Auto, Chery Automobile, and Changfeng Automobile. Others are private-owned companies, such as Geely Automobile and Great Wall Motors. The main industry group for the Chinese automotive industry is the China Association of Automobile Manufacturers (CAAM). China has its traditional “Big four” domestic car manufacturers: Shanghai General Motors, Dongfeng, FAW, and Chang’an. The fourth place of Chang’an has recently been overtaken by manufacturer Beijing Auto (also known as BAIC Motor). Shanghai General Motors (上海汽车集团股份有限公司), also known as SAIC (上汽) and SAIC-GM (上汽通用), is a Chinese state-owned automotive manufacturing company headquartered in Shanghai operating in joint venture with US owned General Motors. The company had the largest production volume of any Chinese automaker in 2014, making more than 4.5 million vehicles. Dongfeng Motor Corporation (东风汽车公司, abbreviated to 东风) is a Chinese state-owned automobile manufacturer headquartered in Wuhan. The company was the second-largest Chinese vehicle maker in 2014, by production volume, manufacturing over 3.5 million vehicles that year. Its own brands are Dongfeng, Venucia and Fengshen. Joint ventures include Cummins, Dana, Honda, Nissan, Infiniti, PSA Peugeot Citroën, Renault, Kia and Yulon. FAW Group Corporation (第一汽车集团, abbreviated to 一汽) is a Chinese state-owned automotive manufacturing company headquartered in Changchun. In 2014, the company ranked third in terms of output making 2.7 million vehicles. FAW sells products under at least ten different brands including its own and Besturn/Bēnténg, Dario, Haima, Hongqi, Jiaxing, Jie Fang, Jilin, Oley, Jie Fang and Yuan Zheng, and Tianjin Xiali. FAW joint ventures sell Audi, General Motors, Mazda, Toyota and Volkswagen. Beijing Automotive Group, also known as BAIC Group or Beiqi (北京市国有资产经营有限公司, abbreviated to 北京), is a state-owned enterprise and holding company of several Chinese automobile and machine manufacturers. In 2014, the company ranked third in terms of output making 2.6 million vehicles. Its principal subsidiaries include the passenger car maker BAIC Motor, the military vehicle and SUV maker BAW and the truck, bus and agricultural equipment maker Foton Motor. BAIC's parent is the Beijing State-owned Assets Supervision and Administration Commission. Chang'an Automobile Group (重庆长安汽车股份有限公司, abbreviated to 长安) is an automobile manufacturer headquartered in Chongqing, and is a state-owned enterprise. In 2014, the company ranked fifth in terms of output making 2.1 million vehicles in 2014. Changan designs, develops, manufactures and sells passenger cars sold under the Changan brand and commercial vehicles sold under the Chana brand. Foreign joint venture companies include Suzuki, Ford, Mazda and PSA Peugeot Citroën. Geely, which gets its name from the Chinese word “auspicious” 吉利 and was the tenth largest manufacturer in 2014. A notable Taiwanese automotive manufacturer is Yulon. 2014 Passenger Car Sales by Brand According to China Passenger Car Association (CPCA), automakers in China delivered 19,706,827 passenger vehicles in 2014, including 12,507,614 sedans, 4,105,802 SUVs, and 1,855,812 MPVs. Below is a breakdown of the deliveries by brand. Imports and commercial vehicles (pickups, buses, trucks, tractors) are not included, while micro vans are. Several Chinese car makers have been accused of copying designs of other companies. Some BYD cars look similar to those of other brands including Lexus, Toyota, Honda, Mercedes Benz, and Porsche. For example, the BYD S8 bears similarity to the Mercedes CLK from the front, and the Renault Megane CC or third generation Chrysler Sebring convertible from the rear. An anonymous staff member at Honda claimed that the BYD F3 was "a known copy" of the Toyota Corolla (with Honda Fit design cues). Another model too, the BYD F1, has been described by an industry observer as "a clear copy" – this one of the Toyota Aygo. Domestic dealerships have been known to take advantage of this and replace the badging of BYD vehicles with those of other car manufacturers, including Toyota. Micheal Austin, vice president of BYD America, has acknowledged the issue saying that the practices done by dealers (which are franchised) has made BYD "uncomfortable". Even the US government has criticized BYD's practices, with a WikiLeaked document from the US Consul-General to Guangzhou (Brian Goldbeck) referring to BYD's practice of copying in a document entitled "BYD seeks to 'Build Your Dreams' -- based on Someone Else's Designs". Some companies in China sell conversion kits (which include emblems) for certain vehicle models e.g. conversion of a BYD S6 to a Lexus RX350. BYD established its North American headquarters in Los Angeles, California in 2012. In June, 2003, General Motors, a U.S. company, sued Chery, accusing the Chinese manufacturer of copying the first generation Daewoo Matiz (developed by GM Korea) with the design for the Chery QQ. General Motors then went on to accuse Chery of using a Matiz in a crash test for the Chery QQ. GM executives claimed design duplication, which may extend to interchangeable parts, and GM China Group stated the two vehicles, "shared remarkably identical body structure, exterior design, interior design and key components." After mediation attempts failed, GM Daewoo brought a case against Chery in a Shanghai court, but by 2005, jurisdiction had been moved to the Beijing No.1 Intermediate People's Court. Around that time Chinese state officials, including a vice-minister of commerce and a vice-director of the State Intellectual Property Office, publicly supported Chery. It was suggested that GM may have not patented its technology. In late 2005, the lawsuit was settled. Fiat has claimed that a Great Wall A-segment car, the Peri (Jing Ling in China), is a copy of its 2nd-generation Fiat Panda. A copyright infringement case in China did not see a similar outcome. Other Great Wall models may resemble those of other automakers: The Great Wall Florid, may look similar to a Toyota ist; and some older Great Wall Hover models may look like Isuzu Axioms, etc. The Shuanghuan Noble has caused numerous controversies, with Mercedes-Benz even filing a lawsuit against Shuanghuan because of its similarities with the Smart Fortwo. Mercedes-Benz also persuaded the Italian court to prohibit the car from being exhibited at the Bologna Motor Show, but the Shuanghuan Noble car was put on display anyway. In May 2009, a Greek judge ruled against Daimler and cleared the car allowing sales to begin in Greece. The judge answering to Daimler's demand to ban the Chinese vehicle from entering the Greek market said that "The impression the Noble makes on a third and informed party by its visual appearance is different to the one that is made to the same person by the Smart. . . It is commonly accepted that the decision over buying a new car cannot be based only on the exterior characteristics but many other technical specifications such as the power of the engine, fuel consumption, trim specification, retail price and dealers’ network." The ruling states that the latter party's doings "cannot possibly misguide the public" as the German company claimed in its legal request. The judge noted the salient fact that "the plaintiff is no longer selling the specific generation of the Smart which claims to have been copied, but a different vehicle, with much different characteristics." The Wall Street Journal reported that the government of China will be forcing foreign carmakers to disclose their electric vehicle technology secrets before the vehicles are allowed to be sold in China. The current Chinese automotive policy states that a foreign carmaker must form a joint-venture with a Chinese carmaker if the former plans to sell its electric vehicles there, with the Chinese carmaker owning 51% of the joint venture. Due to this supposed 'threat' by the Chinese government, Toyota postponed the launch of the current-generation Prius until they learn more about the plan. China had a total of 6,322 automotive enterprises as of the end of November 2006. The total output value of the automotive sector for the first three quarters of 2006 was US$143 billion. As incomes increase the high annual growth rate of private ownership is expected to accelerate. China surpassed Japan to become the world's second-largest vehicle market in 2006, and passed the United States to become the largest in 2009. This growth is spurring demand for automotive parts, services, and after-care products. China is presently capable of manufacturing a complete line of automobile products and large automotive enterprises. Major domestic firms include the China First Automobile Group Corp. (FAW), Dongfeng Motor Corp. (DMC) and Shanghai Automotive Industry (Group) Corp. (SAIC). China encourages the development of clean and fuel efficient vehicles in an effort to sustain continued growth of the country’s automobile industry (see Fuel economy in automobiles). By the end of 2007, China plans to reduce the average fuel consumption per 100 km for all types of vehicles by 10%. The proportion of vehicles burning alternate fuel will be increased to help optimize the country's energy consumption. Priority will be given to facilitating the research and development of electric and hybrid vehicles as well as alternate fuel vehicles, especially CNG/LNG. Major cities like Beijing and Shanghai already require Euro-3 emission standards. In March10 2008, Beijing became the first city to require light-duty vehicles to meet China-4 emission standard, which was equivalent to Euro-4. Beijing shifted its emission standards to the fifth-stage standards for light-duty and heavy-duty vehicles in January 2013 and August 2015, respectively. On 12 April 2016, the Ministry of Environmental Protection (MEP) released the proposal for light-duty China-6 standard. The BYD Qin plug-in hybrid is the all-time top selling passenger new energy vehicle in China since 2014, with cumulative sales of over 49,500 units up to March 2016. The Chinese Automotive Industry Plan, announced on the main Web site of China's central government, said China aims to create capacity to produce 500,000 new energy vehicles, such as battery electric cars and plug-in hybrid vehicles. The plan aims to increase sales of such new-energy cars to account for about 5% of China's passenger vehicle sales. At the 2010 Beijing Motor Show, more than 20 electric vehicles were on display, most of which came from native automakers. As of May 2010, at least 10 all-electric models have been reported to be on track for volume-production. The first mass-produced plug-in hybrid car (BYD F3DM), all-electric minivan (BYD e6) and all-electric long-range bus (BYD K9) are Chinese. China subsidies oil and some Chinese automakers see opportunities in less mature electric vehicles because Western companies have yet to develop much of a lead in the technology. New energy vehicle sales between January 2011 and March 2016, totaled 502,572 units, of which, over 92% were sold between January 2014 and March 2016. These figures include heavy-duty commercial vehicles such buses and sanitation trucks. These figures only include vehicles manufactured in the country as imports are not subject to government subsidies. As of March 2016, the Chinese stock of plug-in electric vehicles consist of 366,219 all-electric vehicles (72.9%) and 136,353 plug-in hybrids (27.1%). As of December 2015, China is the world's largest electric bus market, and by 2020, the country is expected to account for more than 50% of the global electric bus market. China also is the world's leader in the plug-in heavy-duty segment, including electric buses, plug-in trucks, particularly sanitation/garbage trucks. Currently auto parts and accessories enjoy lower levels of tariffs than cars (the average tariff is 10–13% for parts/accessories and 25% for cars). China has agreed to lower tariffs on imported auto parts and accessories to 10%. Although this difference in duty rate was initially responsible for an increase in motorcycle and car kit imports, the loophole has been tightened. Now, only replacement parts and accessories enter China under the lower duty level. Used cars can be imported to China although some restrictions apply. Refurbished heavy construction equipment can be imported with a special permit. Used and refurbished auto parts are not allowed to be imported into China. Clamping down on counterfeit products. In China, authorized car dealership are called 4S car shops. The 4S represents Sale, Sparepart, Service and Survey. 整車销售(Sale)、零配件(Sparepart)、售後服务(Service)、信息反馈(Survey). In most cases, brand-name new cars can be purchased only from 4S shops. For new cars in high demand, a high premium is added for instant delivery or just placing an order. The profit of car dealers in China is quite high comparing to the rest of the world, in most cases 10%. This is supposedly due to the 'non-transparent invoice price' as announced by manufactures and to the premiums they charge for quick delivery. Due to the lack of knowledge for most customers, dealers can sell add-ons at much higher prices than the aftermarket. There is no regulation by either the government or associations. As of 2012, exports of Chinese automobiles were about 1 million vehicles per year and rapidly increasing. Most sales were made to emerging economies such as Afghanistan, Algeria, Brazil, Chile, Egypt, Iraq, Iran, Libya, North Korea, the Philippines, Russia, Saudi Arabia, South Africa, or Syria where a Chinese-made automobile such as a Geely, Great Wall, or Chery sells for about half of what a comparable model manufactured by a multinational brand such as Toyota does. The Chinese cars are based on multinational designs but cheaply made; they are particularly lacking in safety features. Cars made in China by multinational joint ventures are generally not exported. The quality of Chinese cars is rapidly increasing but, according to J. D. Power and Associates, is not expected to reach parity with multinational manufacturers until about 2018. ↑ "RIA Novosti - World - China becomes world's largest car market". En.rian.ru. Retrieved 2009-04-28. ↑ "China emerges as world's auto epicenter - Politics- msnbc.com". MSNBC. 2009-05-20. Archived from the original on 19 May 2009. Retrieved 2009-05-25. ↑ "More cars are now sold in China than in America". The Economist. 2009-10-23. 1 2 "China car exports up almost 50 percent in 2011". Inautonews.com. 2012-01-20. Retrieved 2014-01-05. ↑ "US-China Institute :: news & features :: video: greg anderson on state capitalism in china's auto industry". China.usc.edu. 2012-02-22. Retrieved 2014-02-25. ↑ "DESIGNATED DRIVERS - How China Plans to Dominate the Global Auto Industry". Designateddrivers.co. Retrieved 2014-02-25. ↑ "China's 10 millionth vehicle this year comes off the production line - People's Daily Online". English.people.com.cn. 2009-10-21. Archived from the original on 17 November 2009. Retrieved 2009-12-05. ↑ "Chinese Auto Sales Set New World Record of 18 Million Units in 2010". ChinaAutoWeb.com. ↑ "How Many Cars are There in China?". ChinaAutoWeb.com. ↑ "China's E6 electric car: 'We're not trying to save the world – we're trying to make money'". BusinessGreen.com. 3 April 2009. Archived from the original on 4 December 2009. Retrieved 2009-12-05. ↑ Heavy Equipment Manufacturing (2011-09-27). "China's First Home-made Automobile: Jiefang Truck | China's Great Science and Technology". Chinatechgadget.com. Retrieved 2014-01-05. ↑ Mazzocchi, Gianni (September 1984). "Anche i Cinesi vogliono l'auto" [The Chinese as well want cars]. Quattroruote (in Italian). Milan, Italy: Editoriale Domus. 29 (347): 57. ↑ Dale, David (1984-04-17). "Great Moments in Media". The Sydney Morning Herald. Sydney, Australia. Retrieved 2012-02-06. 1 2 Harwit, Eric (2001). "The Impact of WTO Membership on the Automobile Industry in China" (PDF). The China Quarterly: 655–670. Retrieved 2010-09-16. ↑ Chang, Crystal (2009). Developmental Strategies in a Global Economy: The Unexpected Emergence of China’s Independent Auto Industry. p. 7. Retrieved November 5, 2016. 1 2 3 4 5 "2014年11月汽车分车型前十家生产企业销量排名". caam.org.cn. China Association of Automobile Manufacturers (CAAM). ↑ "2014 Passenger Car Sales by Brand". ChinaAutoWeb. ↑ "Top 10 best-selling cars in Chinese mainland". China Daily. ↑ Brierley, David (2007-09-09). "Road rage in the West as copycat cars from China start to make their marque overseas". The Independent. London, UK. Archived from the original on 2010-04-22. ↑ CCT (7 December 2009). "BYD SUV Revealed! – Its not a Lexus RV, its not a Lexus RV…". chinacartimes.com. China Car Times. Archived from the original on 8 July 2011. Retrieved 9 April 2011. ↑ "Sitemap". Autoblog. Retrieved 2014-02-25. ↑ "China's F1 entry... sorta". Autoblog. Retrieved 2014-02-25. ↑ "Beijing '08 Preview: BYD e6 electrifies family hauling". Autoblog. 2008-04-17. Retrieved 2014-02-25. ↑ "BYD Auto | BYD S8 Convertible – Ready for the warm days! | China Car Times - China Auto News". China Car Times. Archived from the original on 2011-08-21. Retrieved 2014-02-25. ↑ "BYD B8 Convertible: Impending Doom Never Looked So Good, SL-like". Jalopnik.com. Retrieved 2014-02-25. ↑ "Chinese Byd for entry into sports car market". Autoblog. 2006-11-05. Retrieved 2014-02-25. ↑ "BYD Auto | BYD T6 – is it Photoshop Tuesday? | China Car Times - China Auto News". China Car Times. Archived from the original on 2012-04-28. Retrieved 2014-02-25. ↑ Raja, Siddarth (2006-10-31). "Another Chinese copy, the BYD F8". Motorauthority.com. Retrieved 2014-02-25. 1 2 3 4 Ben Berkowitz, Kevin Krolicki & Lee Chyen Yee (2011-03-09). "Special Report: Warren Buffett's China car deal could backfire". Reuters. Retrieved 2011-03-11. ↑ "BYD's bid to break the Chinese mould". Easier Cars. 2008-03-05. Retrieved 2011-03-11. ↑ “Fake in China: BYD to Lexus Conversion Kit, Yours For Only $95”, The Truth About Cars, February 22, 2012, Retrieved 30 January 2016. ↑ "US-China Today: Chinese Investment in the US: BYD Auto Company". Uschina.usc.edu. 2014-01-27. Retrieved 2014-02-25. 1 2 3 "Lawsuits". China Motor Vehicle Documentation Centre. Retrieved 2011-03-12. 1 2 "China to Foreign Automakers: Drop Dead". Frank Williams. 2007-08-16. Retrieved 2007-12-17. 1 2 "GM Daewoo claimed their investigation results showed the Chery QQ shared a remarkably identical body structure, exterior design, interior design and key components". BBC News. 2005-05-09. Archived from the original on 7 September 2010. Retrieved 2010-10-05. 1 2 3 "Chery even used a camouflaged Matiz car to pass auto tests to acquire authorization from the government over production and sales of QQ.". Chinadaily.com.cn. 2005-05-09. Archived from the original on 7 September 2010. Retrieved 2010-10-05. ↑ "italiaspeed.com". italiaspeed.com. Retrieved 2014-02-25. ↑ Luca Ciferri (2008-07-18). "Automotive News". Autonews.com. Retrieved 2014-02-25. ↑ Frank Filipponio (2007-08-21). "Shuanghuan Noble — Autoblog". Autoblog.com. Retrieved 2009-12-05. ↑ Blanco, Sebastian (2007-12-11). "Good idea? Smart-clone importers violate court injunction at Bologna Auto Show — Autoblog Green". Autobloggreen.com. Archived from the original on June 13, 2009. Retrieved 2009-12-05. ↑ "Greek court rules against Daimler on China SUV - China automotive news". Autonews.gasgoo.com. 2009-05-26. Archived from the original on 17 December 2009. Retrieved 2009-12-05. ↑ Shirouzu, Norihiko (2010-09-17). "China spooks auto makers". Archived from the original on 2015-08-18. Retrieved 2015-08-17. ↑ Staff (2016-01-14). "Best-selling Sedan in 2015". China Auto Web. Retrieved 2016-01-17. A total of 31,898 Qins were sold in China in 2015. ↑ Jeff Cobb (2015-02-10). "Top-10 Global Best-Selling Plug-in Cars". HybridCars.com. Retrieved 2015-03-21. A total of 14,747 Qins were sold in China in 2014. ↑ Mat Gasnier (2014-01-14). "China December 2013: Focus on the all-new models". Best Selling Cars Blog. Retrieved 2014-01-16. A total of 142 units were sold in China in December 2013. ↑ Gasnier, Mat (2016-03-17). "China February 2016: VW Lavida #1 but 8 in Top 12 are Chinese in market down 1.5%". Best Selling Cars Blog. Retrieved 2016-03-20. A total of 6,110 BYD Tangs and 1,580 Qins were sold in China during the first two months of 2016. ↑ Wanxiang, Liu (2016-04-11). "乘联会：3月新能源乘用车销量回升至1.56万辆 比亚迪北汽江淮包揽前三" [By the Federation: March passenger car sales rose to 15,600, BYD, BAIC and JAC swept the first three places] (in Chinese). D1EV.com. Retrieved 2016-04-12. A total of 1,143 BYD Qins were sold in China in March 2016. ↑ "Obama's Briefing; Sandalow To DOE; Automaker News; Nat'l Wildlife Federation Embraces PHEVs". Calcars.org. 2009-03-27. Archived from the original on 4 June 2009. Retrieved 2009-04-28. ↑ "A List of High-speed Electric Cars from Chinese Automakers". ChinaAutoWeb.com. May 2010. ↑ "China's fuel subsidy costs the world". Reuters. 2008-06-04. Retrieved 2014-02-25. ↑ "A rounder world threatens Asia's economies". July 4, 2008. Retrieved March 6, 2011. ↑ "Business | China to raise the price of fuel". BBC News. 2008-06-19. Retrieved 2014-02-25. ↑ Archived February 16, 2010, at the Wayback Machine. ↑ "Beijing protests US post on Tibet". Chinadaily.com.cn. Retrieved 2014-02-25. ↑ China Association of Automobile Manufacturers (2012-01-16). "5,579 electric cars sold in China in 2011". Wind Energy and Electric Vehicle Review. Retrieved 2014-01-12. ↑ Cars21.com (2013-02-13). "EV sales increase 103.9% in China in 2012- Electric China Weekly No 17". Cars21.com. Retrieved 2014-01-12. ↑ Jiang Xueqing (2014-01-11). "New-energy vehicles 'turning the corner'". China Daily. Retrieved 2014-01-12. ↑ China Association of Automobile Manufacturers (CAAM) (2015-01-14). "The sales and production of new energy vehicles boomed". CAAM. Retrieved 2015-01-14. ↑ China Association of Automobile Manufacturers (CAAM) (2016-01-20). "New energy vehicles enjoyed a high-speed growth". CAAM. Retrieved 2016-01-21. ↑ Wanxiang, Liu (2016-04-12). "中汽协：3月新能源汽车销量达2.3万辆 第一季度累计销售近6万辆" [Automobile Association: March new energy vehicle sales reached 23,000 in the first quarter, total sales of nearly 60,000] (in Chinese). D1EV.com. Retrieved 2016-04-12. ↑ "Global Electric Bus Market 2015 - Size, Share, Development, Growth and Demand Forecast to 2020". Research and Markets (Press release). Dublin: Reuters. 2016-02-03. Retrieved 2016-02-10. ↑ Jeff Cobb (2015-09-16). "One Million Global Plug-In Sales Milestone Reached". HybridCars.com. Retrieved 2015-09-16. Cumulative global sales totaled over 1 million highway legal plug-in electric passenger cars and light-duty vehicles by mid-September 2015. ↑ Henry Lee; Sabrina Howell & Adam Heal (June 2014). "Leapfrogging or Stalling Out? Electric Vehicles in China". Belfer Center, Harvard Kennedy School. Retrieved 2015-01-18. Download EVS in China (full report). See Table 2: Chinas's EV Sales by Brand, 2011-2013, pp.19. ↑ Keith Bradsher (July 5, 2012). "Chinese Cars Make Valuable Gains in Emerging Markets". The New York Times. Retrieved July 7, 2012. Anderson, Greg, Designated Drivers: How China Plans to Dominate the Global Auto Industry, book talk at the USC U.S.-China Institute, 2012. 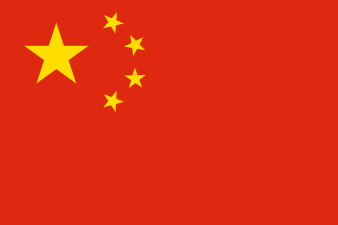 Wikimedia Commons has media related to Vehicles of China.